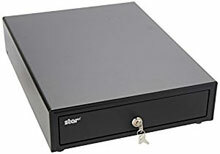 Star SMD2-1617 - 16" x 17", Bluetooth / Ethernet DK-AirCash included, 5Bill-5Coin, iOS, Auto Connect ON. Color: Black. Also known as SMD2-1617BK55-EBi S2 US.